Linda’s story broke my heart. Linda’s life was devoted to her family. With great pride, she told me her life’s work and her greatest source of joy was caring for and nurturing her six children. As adults, her children and spouses enjoyed one another’s company. With 14 grandchildren, holiday celebrations were filled with laughter, great food, and wonderful commotion. After Linda’s husband died unexpectedly at 57, her children rallied around her with tremendous support as she re-invented her life as a new window. At 62, she received her unexpected diagnosis—stage 4 breast cancer. For a time, she fought valiantly through chemo. As we sat in her hospital room, she described how earlier in the week she could hear her children arguing in the hallway about her treatment choices as she was losing her battle with cancer. Linda’s breathing was labored as she shared her story. Though they thought she didn’t know, Linda was painfully aware and somewhat shocked that her daughters were quarreling with one another over who would inherit Grandma’s heirloom diamond earrings. Meanwhile, Linda had overheard her youngest son, Jim, whisper something about how much this was all costing. Linda knew he’d been squeezed financially after his position was eliminated at work. He seemed more interested in his inheritance than Linda’s care. This was becoming ugly. Families can—and do—unravel as a parent approaches the end of life, regardless of age. As parents, we have the opportunity—and truly the responsibility—to help our families survive the stress and strain as we move through the end of life journey. You can help your adult children cope with the future reality of your passing by preparing them and by making your wishes clear. Write a meaningful and effective healthcare directive and share it with all your family members. A healthcare directive is the legal document that expresses your healthcare treatment preferences if you are unable to make your own decisions. Clearly communicating your end-of-life medical preferences is instrumental in pre-empting arguments over your care. So too is appointing your healthcare agents—those legally empowered to make healthcare decisions on your behalf if you are unable to make or communicate your own wishes. Purchase long-term care insurance if at all possible. Yes, it is expensive. But the statistics on the cost of care, and the number of us who will need long-term care, makes a compelling case for this investment for our future, and to spare our children from the financial stress our care will impose on their families. Establish an estate plan with an elder law attorney or estate attorney. Then make sure your children know there’s an estate plan. Share what you feel is appropriate. Taking the mystery out of what will happen after you are gone might stem the tide of conflict and jockeying for favor or power. Choose whether you will be buried or cremated. If you will be buried, make your casket selection in advance. Have financial resources set aside that are immediately accessible to cover these expenses. By making your own selection, you might spare your children from the impulse to make purchases spurred on by their own emotions. If you prefer cremation, expressing this intention now can avert emotional battles for your children who might be uncomfortable with the idea. Help them to understand your reasoning so they can accept this choice. Pre-plan your funeral or memorial service. With just a few minutes of effort, you can share your thoughts on paper regarding the type of music you would request, any favorite readings, and whom you hope will offer the eulogy. Give family heirlooms as gifts in present time. Tell the story of the heirloom’s significance while you are able. Experience the joy of giving while you are living. Or, write out the story and make the intended recipient of the gift clear so arguments do not ensue. Hire a professional organizer to help you “thin out” your belongings. Forcing children to sort through forty years of belongings is rife with emotional landmines. As parents, we’ve sacrificed for our children, beginning with all-night vigils through the flu, surviving their teenage years filled with attitude and drama, and on into the adult years as we worry about their life choices. Preparing our children and grandchildren for the eventual reality of our death is one more act of selfless love. With proper preparation, you have the opportunity to impart peace of mind by ensuring your loved ones understand and can confidently honor your end of life wishes. By earnestly sharing your wishes and telling your children what you’ll need, you can pave the way and set expectations. You can protect your family’s future peace through a graceful end of life journey. Speaker, author and blogger Anne Elizabeth Denny inspires peace of mind by educating and equipping families to share meaningful conversations about future healthcare choices. Anne graduated from the University of Notre Dame. She has served as a business consultant in the healthcare industry since 1995. Anne’s professional and personal experiences inspired her to write her book My Voice, My Choice: A Practical Guide to Writing a Meaningful Healthcare Directive, create her blog, and develop healthcare directive software for healthcare delivery systems. Having the talk of a lifetime means that you not only talk about end of life matters, but also about what matters most to your loved one and how they feel like they’ve made a difference. These discussions can help family members learn what is most important to loved ones, and what they value most in life. You may want to record your conversation so that you have these stories to share with other family members and younger generations. As you talk about the impact of your loved one’s life, end of life topics such as funeral wishes, healthcare preferences, and desires for allocating assets may arise. Begin to think about assembling an end of life team that can help you and your loved one navigate all of these issues. Your end of life team may include a legal advisor, financial advisor, healthcare team, Veterans service officer, Medicaid specialist, and funeral planning specialist, to name a few. With the help of these and other professionals, you will be able to create an end of life plan that protects immediate family members and paves the way for a better quality of life for both you and your loved one. For tools and resources for having “the talk,” go to www.talkofalifetime.com. 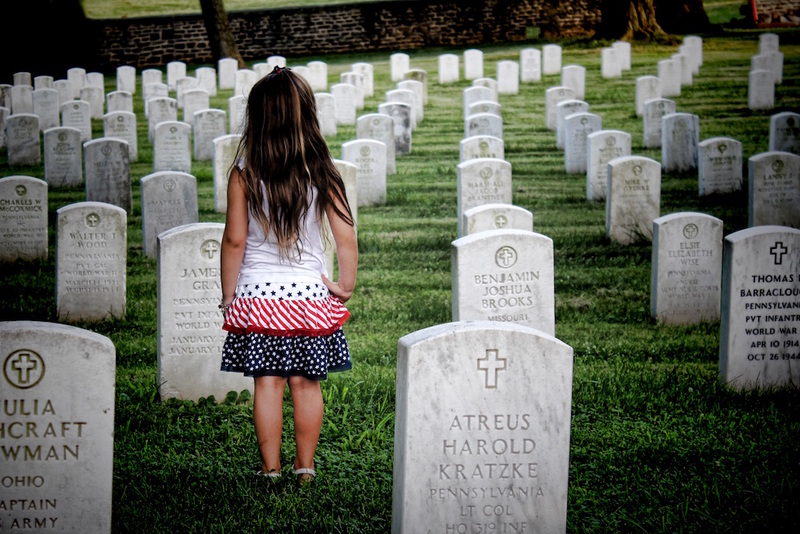 Our friends at Reno Dads Blog recently tackled the complicated topic of how to explain death to our children. Big thanks to Mike McDowell for his words and permission to share them here.